In Native American cultures, spider web protective charms were thought to filter out bad dreams and allow only good thoughts. 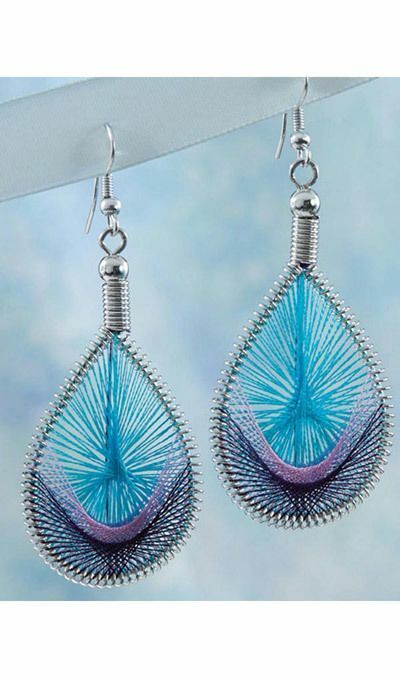 These dreamcatcher earrings are made of bright blue and purple string wrapped around a silver-tone frame. Imported. French wires, 2¾"l.